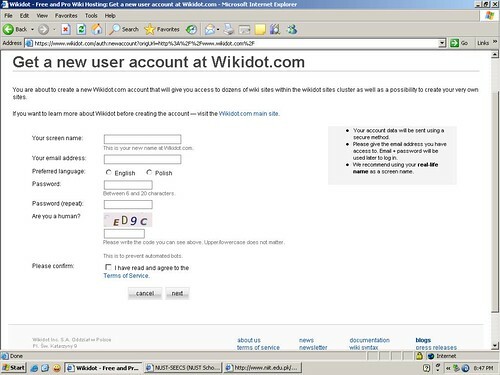 A wiki is a page or collection of Web pages designed to enable anyone to access and modify it. 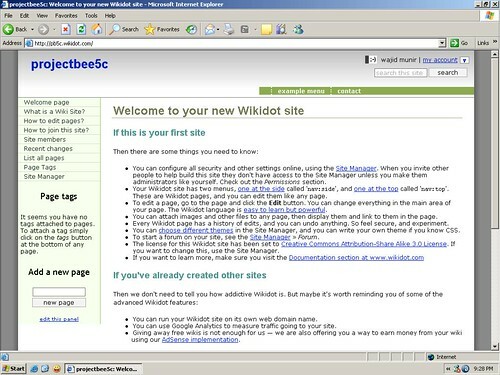 Wikis are often used to create collaborative websites and to power community websites. One of the well known wiki site is Wikipedia, an internet encyclopedia. 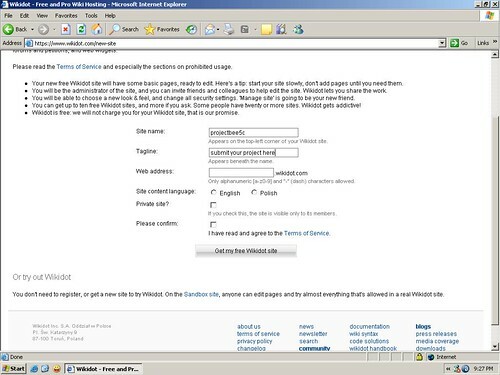 Wikis are used in business to provide intranet and Knowledge Management systems. Ward Cunningham, the guy who developed the first wiki software considered it the simplest online database that could possibly work. we copy the verification first of all we sign up for an account at wikidot.com.initially the site asks for our personal details.then it mails us a verification code on our mailing address. the verification code that we received on mail is to be inserted on the next page. This is a security measure which prevents the misuse of the site.we then select the option create your very own site. Which takes us to another. 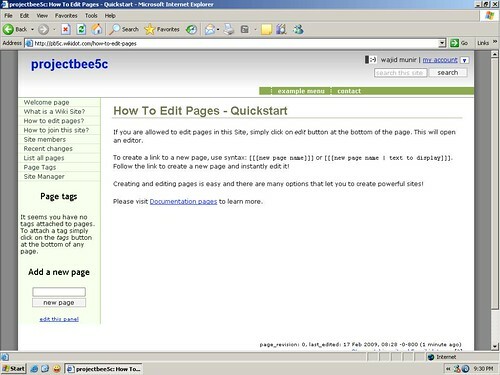 An introduction to "how to edit wiki" by "wikidot.com"